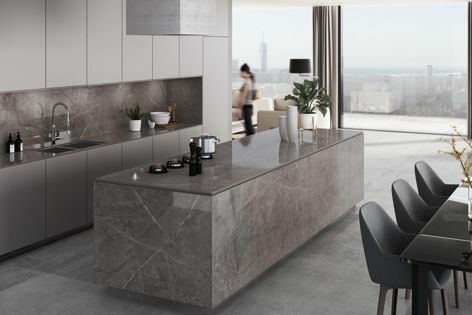 Dekton by Cosentino, the ultra-compact architectural surface with advanced technical properties for both interior and exterior application, has been expanded with the Stonika collection – the most advanced Dekton surface yet. Comprising six new hues, the Stonika collection draws inspiration from the most coveted natural stone materials. New findings in the manufacturing process allow for sharper designs and in turn, an ultra-realistic appearance.